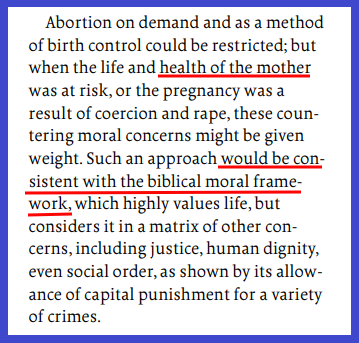 On page 19 of the Adventist Review here Dr. Nicholas Miller of Andrews University publicly claims that violently killing children via abortion for a mother's "heath....would be consistent with the biblical moral framework." A mother's "health" is the same loophole used in Supreme Court Cases Roe v. Wade and Doe v. Bolton to justify abortion on demand. According to his bio page here Dr. Miller is an attorney with a J.D. from "Columbia University Law School, where he was a Stone Scholar and an editor of the Columbia Law Review. He also has a Ph.D. in American Religious and Legal History from the University of Notre Dame, where he received the award for the best dissertation of the year for 2010 from the History Department."